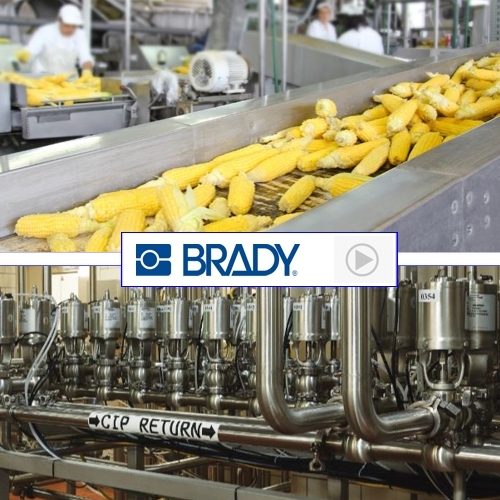 With Brady’s industrial grade identification and safety solutions, food & beverage plants can prevent a great number of workplace accidents. Signs are available to warn coworkers about danger and inform them about the PPE they should wear. With floor marking pedestrian and vehicle traffic can be organised in separate and safer traffic lanes, during maintenance moving objects and valves can be locked with Lockout/Tagout, and spills can be prevented from spreading over the workfloor with spill control solutions. Watch the short video showing identification solutions for food and beverage industries.